Exercise: An antidote for behavioral issues in children? They looked at whether structured exercise during the school day -- in the form of stationary “cybercycles” -- could help ease students’ behavioral issues in the classroom. Over a period of seven weeks, the study found it did. Kids were about one-third to 50 percent less likely to act out in class, compared to a seven-week period when they took standard gym classes. Those effects are meaningful, according to lead researcher April Bowling, who was a doctoral student at Harvard University at the time of the study. “On days that the students biked, they were less likely to be taken out of the classroom for unacceptable behavior,” said Bowling, who is now an assistant professor of health sciences at Merrimack College in North Andover, Mass. “That’s important for their learning, and for their relationships with their teachers and other kids in class,” she said. The exercise in this case was carefully chosen for students with behavioral problems. These children often get less physical activity than their peers, Bowling said. They can have difficulty following the rules of organized sports, or with the physicality of some traditional gym activities, she explained. For the study, Bowling and her colleagues gave the kids stationary bikes equipped with virtual reality “exergaming.” The exercise was simple and contained, and the video games offered a way to keep kids engaged and focused, Bowling explained. The study was done at a school that enrolls kids with behavioral health disorders, many of whom also have learning disabilities. Their usual gym classes focused mainly on skill-building, with only short bursts of aerobic activity at most, according to the researchers. For seven weeks, 103 students used the stationary bikes during their usual gym class -- twice a week, for 30 to 40 minutes. Their classroom behavior was tracked and compared with a seven-week period without the bikes, when they had gym class as usual. Overall, the study found, the students were better able to control their behavior in the classroom during the stationary-bike trial. The benefits were most apparent on the days they exercised, Bowling said, although there were some “carryover” effects on other days. “It’s good science, and it’s an important study,” said Timothy Verduin, a clinical assistant professor of child and adolescent psychiatry at NYU Langone Medical Center in New York City. There’s been a “hunch,” Verduin said, that exercise can benefit kids with behavioral disorders. But there has not been much solid evidence of it, he added. The new study starts to fill that gap, Verduin said. There are caveats, he pointed out. For one, the kids in this study had more severe disorders; it’s not clear whether the same approach would help students with milder behavioral problems. Bowling said the next step is to test the exercise program in special education classes at public schools. Cost and logistics are potential issues, she acknowledged. She also pointed to another question: Will kids eventually get bored with their cybercycles? “Ultimately, we want to find different exercise modalities that have similar benefits,” Bowling said. A second study from Norway adds more evidence to the benefits of exercise in children. 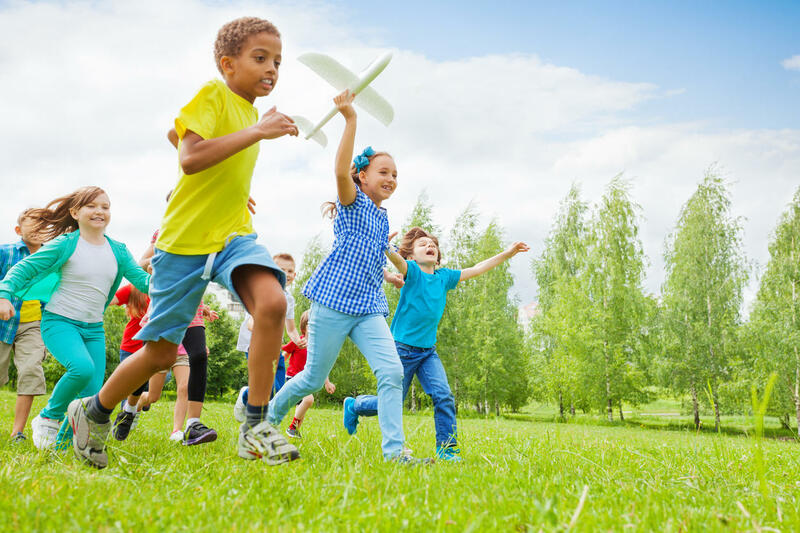 Researchers from Norwegian University of Science and Technology measured activity levels in children at ages 6 and 8, and found that those kids who were more active showed fewer symptoms of depression two years later. The findings from both studies were published online Jan. 9 in the journal Pediatrics. Why would physical exercise actually help kids regulate their behavior? There are theories. Verduin noted that exercise affects neurotransmitters -- chemical messengers in the brain that help regulate mood and behavior. At a time when schools are focusing on academics and often cutting out gym and recess, new exercise programs could be a tough sell, both Verduin and Bowling said. For parents, one message from the study is this: “Kids don’t have to do a ton of exercise to get benefits,” she said.